As people delay marriage and some even put it off permanently, the overall representation of singles is increasing and becoming a greater facet of today’s society. But has our society grown to accept this reality? Chinese New Year is a meaningful festival to reconnect with our family and relatives. 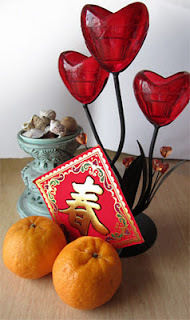 Why do some singles drag attending Chinese New Year gatherings? I mentioned in the media release on Singles Day 2011: “Singles are constantly pressured by society on their status. As a result, some singles become shy and ashamed of being single and may shun social settings like Chinese New Year or weddings. Such societal pressures can backfire and cause singles to close up further which will not help their situation at all. We believe it is better to encourage and celebrate with singles to embrace their freedom, go out enjoy life and enlarge their social circle. When singles feel more accepted, they will be more relaxed, at ease to mix around more freely and enjoy the journey of finding their special someone." From here, encourage them to join related social activities, enlarge their network and enrich their lives. Singles will appreciate your understanding, tactfulness and concern. This will deepen your relationships and make them look forward to celebrate festivities with you! This is what family is for. 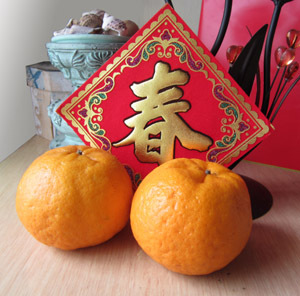 Few years ago, one of my sister had to call us on the first day of chinese new year to "borrow" mandarin oranges. My sister and brother-in-law were so busy with work and their kids that they completely forgotten about it! As busy professionals, we might neglect some stuffs during the lunar new year preparation. My parents are elders in their big families, hence we are expecting quite a number of guests. 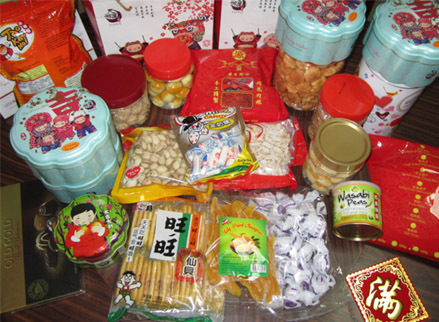 I am the one preparing for chinese new year at home, I could understand how homemakers feel. 3 rounds of shopping and it's not done yet! It can be trivial and tiring. A To-Do-List would be helpful! Hope this list makes your CNY preparation more efficient. 3 rounds of shopping to get this table of Lunar New Year goodies. Instead of spending time on TV, poker or mahjong; take time to fellowship with your family, relatives and friends! I was invited to help out in a charity project from Mustardseed Outreach Program. It is a non-religious/political welfare group formed by a bunch of compassionate people. 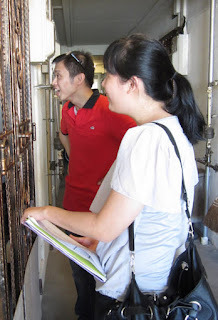 The purpose of this project is to friend-friend the folks in a one-room flat at Aljunied. 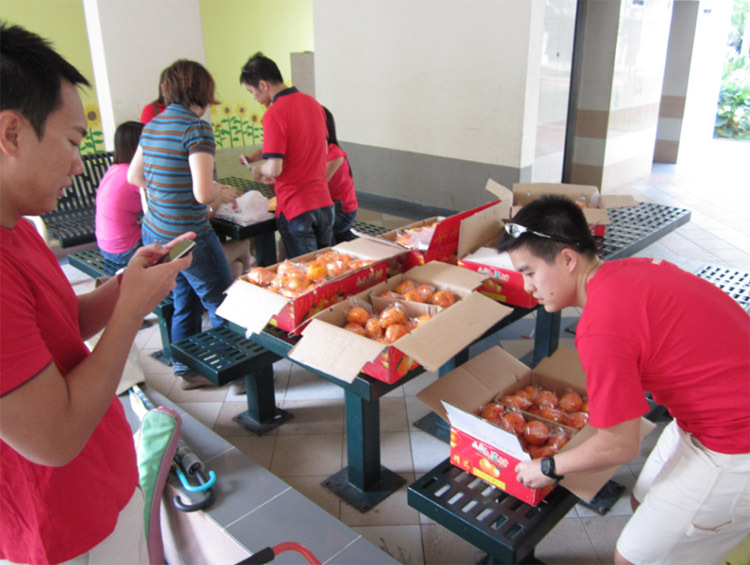 The committee got Angbaos and oranges to prep the residents for the Lunar New Year. We wore red to add to the festive cheer! Based on feedback, other welfare organization do provide groceries to this block regularly. Most living here are lonely elderly or needy. Some hardly walk out of their home due to illness or pain on their legs. What's in need is emotional support. Everyone need friends to yak with. Hence, Mustardseed Outreach Program's focus is to spend time with them, listen to their stories and show that we care. We were grouped in threes. My team members were encouraging, jovial and caring. Most of the residents welcomed our friendship! On the average, we spend about 20 min per household. We took down notes so the future volunteers who meet them will have a better picture. As much as possible, we arrange volunteers who are familiar with the residents to follow up. My team members and I received Angbao and Kopi-powder from the residents instead. While we were caught up in the giving and caring mode... A friendly resident passed a bag of potent Vietnamese coffee powder to us. Then another kind elderly loving lady insisted on giving us Angbao! Kinda awkward leh... We are supposed to bless them not receive from them! We wondered why she gave us Angbao. Maybe we come across as kiddos, or maybe it's the Chinese custom to return kindness. After 5 min of pushing, the gentle lady said "If you don't keep this Angbao, next time don't visit me!" With that, we surrendered. I am touched by their warmth, positivity and contentment with life. The two of them may not have much, yet they recognise the joy of giving. Why deprive them of this simple joy? It can be hurtful to reject their kindness too. I thanked them for warming my heart this Lunar New Year! Sincerely wish more will have the wisdom to give as well as receive. 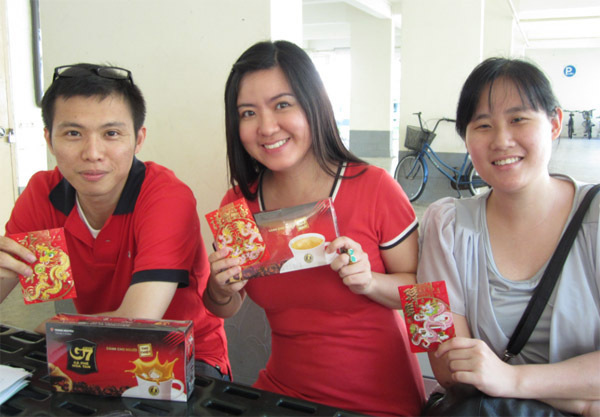 PS, the Angbao received was donated to the Mustardseed Outreach Program. I grew up in an era when kids scrambled to behave on sight of parents. In this movie, it's the other way round! Fathers switch off violence instantly and behave in front of their children. It goes to show that fathers have evolved. They are more aware of the feelings of children. Beneath a criminal, there is a sensitive, protective and supportive father too. In this heist film, fathers could be loving yet dangerous at the same time! How cool, contrasting and unusual is that?! This would be the ideal movie for dads to bond with their adult children (M18). Mark Wahlberg leads the cast of CONTRABAND — a fast-paced thriller about a man trying to stay out of a world he worked so hard to leave behind and the family he’ll do anything to protect. ~ Especially the helpless nerdy brother-in-law (X-Men: First Class star Caleb Landry Jones) who screw things up innocently. ~ Mark Wahlberg is a reformed criminal, faithful husband and loving dad in reality. Besides replicating the same tensed angst from The Fighter and The Departed — the hero who doesn't express much verbally, but will get in there and fight for his love. Here, we get to see a softer, happier and affectionate side of him. ~ Stunning screen darling Kate Beckinsale emits strength and sensitivity while protecting her family. A refreshing break from the glamorous wall-flower roles she had before. Brilliant! For guys who are concerned if your girl might be bored by this thriller. Good news for you! 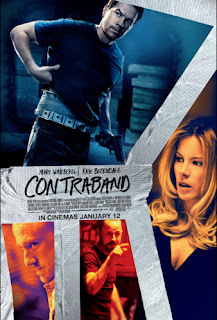 Contraband might seems like a ultra-macho movie, however, it is not overtly packed with Bang!, Wham! and chaos. There is healthy outlets for performers to exhibit vulnerable emotions and an exciting plot — which girls will appreciate. As the director's focus is in capturing what’s organic and in the moment, part of the cinematography is done freestyle. Hence, chose seats away from the movie screen to prevent giddiness. Rules and regulations in education institutions teach the kids how to respect authority and boundaries. Every school has their rules and regulations to maintain. They have the right to exercise disciplinary actions when their students broke the rules. When my nephew received a FREE haircut from his discipline master, we had a good laugh with him. We supported the school's initiative to teach him how a self-respecting student should look like. This is basic image grooming. If the parents find the rules unreasonable or unfairly practised in school, they could feedback to the school or MOE. Why did Madam Yeo (from the article) have to call the police? The article mentioned that kid was traumatised over haircut. I understand that teenagers are conscious of their image. A wise parent will teach their children to manage their emotions, manage stituations in a real world and manage expectations from society. If parents get over protective, how is he going to endure army? How is he going to face rejection or failure in future? Is he suppose to call the police whenever he feels upset? When parents over-shelter their kids, I wonder how children could grow in discipline, strength or independence. Males who are raised from such protective environment probably end up lacking in confidence, initiative and leadership qualities. Mothers, the future of your child is in your hand. Please nurture men, not boys! Old fashion sounds like an elderly's drink. It has been around since 1800s. I could imagine a grandfather sharing this cocktail with his peers as they chat the sunset away. Surprisingly, it's a 23 year old fun Chinese guy that recommended it to me! Rowell likes the woody manly characteristics. Interesting taste for a sporty cute guy. He definately knows how to appreciate the finer things in life. Besides a pleasant woody touch, it's fragrant and ultra-soothing to me. It is the evening cocktail to partake as we reflect the day, with a tinge of regret (bitter) that a day is over, yet assuring (sweet stability from the maple syrup) as we know another bright new dawn awaits us. 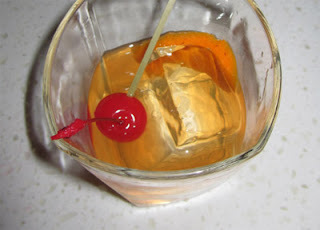 Here is the recipe with compliments from Ethan, the bartender who introduces Old Fashion to Rowell. ~ 20ml maple syrup, dash orange bitters. ~ One orange slice, 30ml Laphroigh muddle, one cube ice, stir till melt. ~ Then 15 ml Laphroigh, one cube ice, stir till melt. ~ Add another 15 ml Laphroigh, 1 cube ice. Stir till melt. ~ Dash orange bitters. Top up ice. ~ One orange slice as garnish. Requires an experienced cocktail mixologist to prepare Old fashion. Drop by an established cocktail lounge to best enjoy this deep awesome drink. Cheers! I observed that negative people tend to dwell on their negative emotions. They reason why they should feel this way to keep the lousy feelings brewing. As they are negative, they tend to mix with like-minded people and it does not help elevate their situation. Does being negative improve any of your issues? Does it earn you more money? Does it make you attractive and approachable? Does it bring success in your relationships? Does it benefit your health? When they recognised their negativity and are determined to remove this mind-set. I would suggest the following to free it. Go out door and appreciate God's creation. Do simple outdoor exercises like jogging, swimming or simply take a stroll. Bask in sunshine, smell the roses and enjoy the sceneries! When we exercise (in moderation according to our stamina), we feel lighter, healthier and happier. 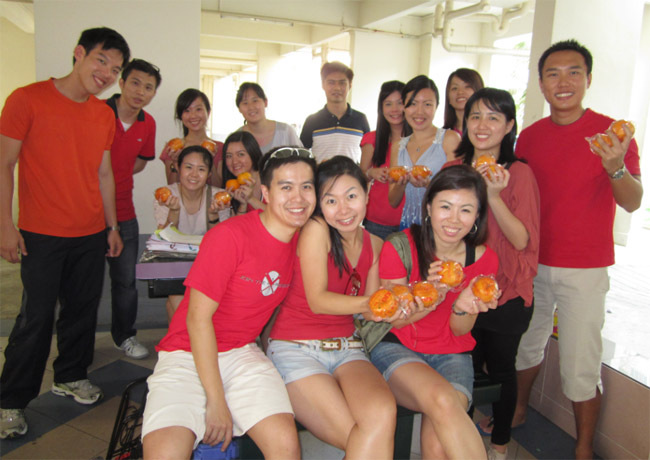 Pick up hobbies and sign up for events (CliqueWise.sg has variety of lifestyle events for both singles and public) that we always wished to try. Keep an open mind to acquire new knowledge/ skills/ experience. Put away the kiasu hat— the stress to win. Just enjoy the classes/ activities and feel the sense of accomplishment for gaining something new. In addition, we get to meet new friends alias activity partners to keep our leisure time occupied! We need food to stay alive. 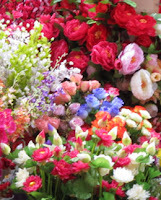 Likewise, we need spiritual food to feel alive. Read inspiring books on how people overcome challenges, achieve their dreams and be encouraged. Listen to uplifting music instead of emo songs. One of my favourite radio channels are FM91.3 and FM 99.5, I tuned in whenever I feel listless. Laughter is one of the best medicine. It induced positive energy to our being, help us to see things creatively from other perspectives and heighten our sense of humour. Catch comedies, stand-up comedies, comics regularly to up our humour-meter. People likes to befriend folks with sense of humour (excluding black/ distasteful/ offensive jokes hor). With new friends, new found popularity; we develop confidence, self-esteem and joy! Give thanks, smile and live it up!